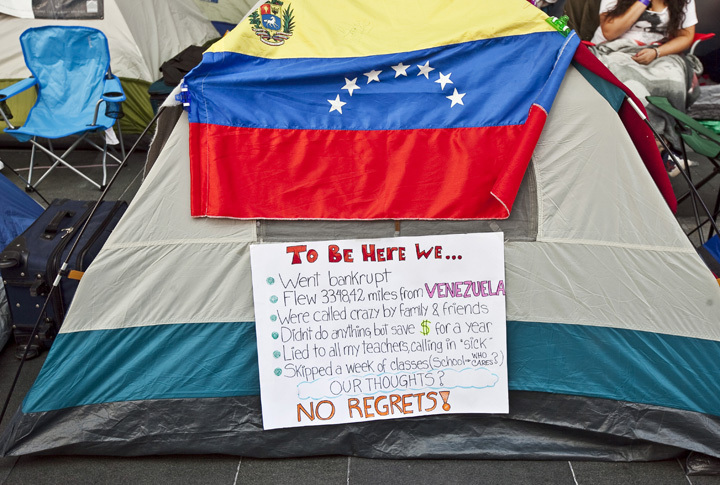 A tent city of over 545 people have taken over the courtyard at the Nokia Center in downtown L.A. 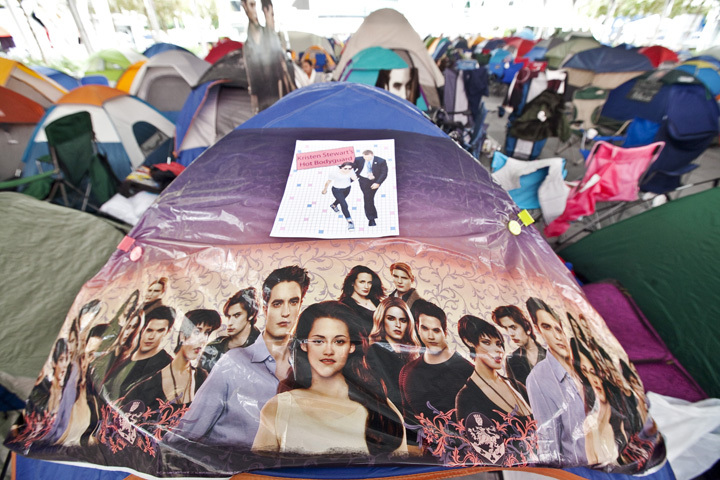 This is the 2nd day of the occupation and it will end on it's fifth day, this Monday, when the film "Breaking Dawn" is set to have it's black carpet premier. 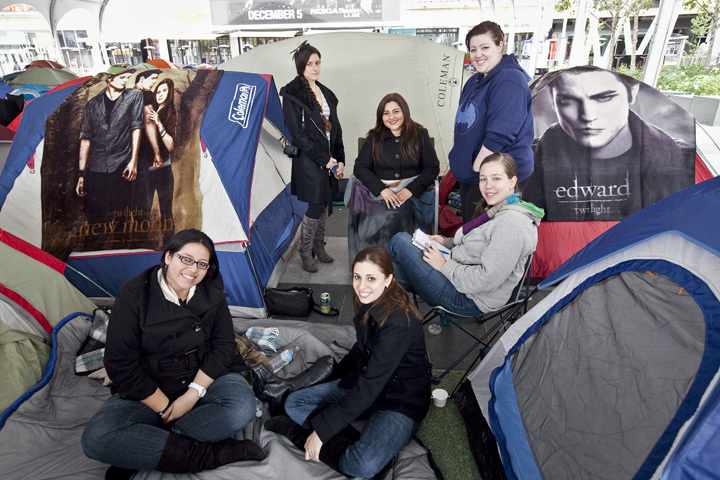 Several fans travelled from Central America and Mexico to participate in the tent city camp out. 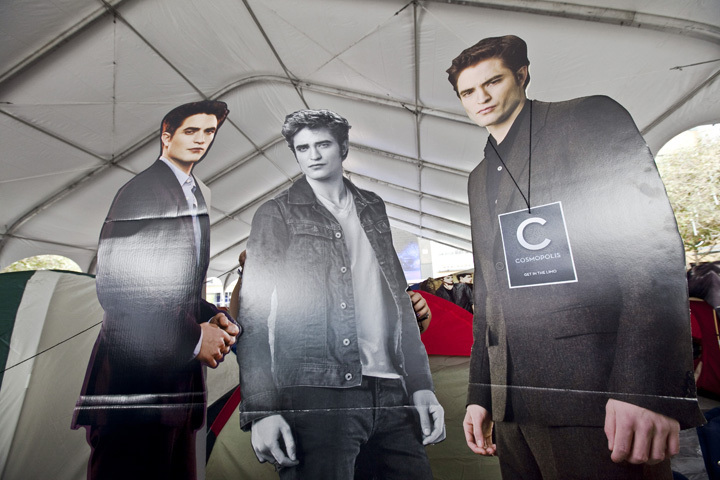 Labels: Breaking Dawn, Occupy L.A.